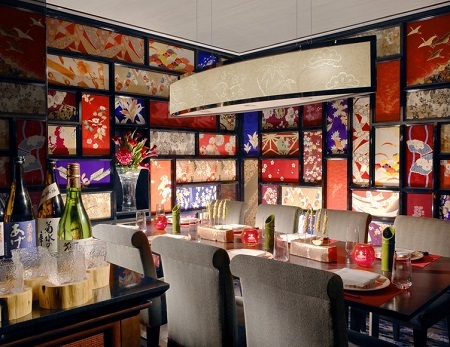 2018 Luxury The Leela Goa or The Leela Palace New Delhi, INDIA! Bid Per Room Per Night and Choose Your Length of Stay! 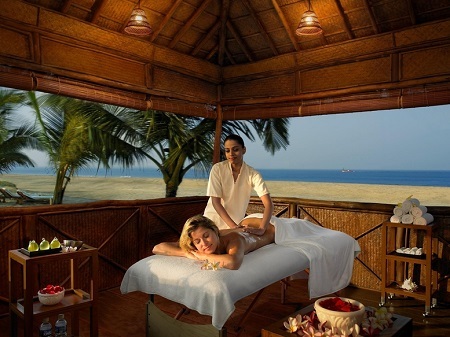 Located minutes from Mobor Beach, The Leela Goa is a luxury Goa resort. Recline in spacious, plush accommodations, hit the 12-hole golf course, or simply take in the naturally beautiful surroundings. 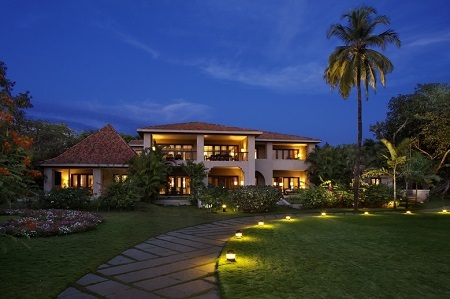 This luxury Goa hotel is set on 75 lush acres of well-manicured gardens and lagoons. Home to a variety of activities and historical insight, guests will enjoy every second of their Indian vacation at The Leela Goa. 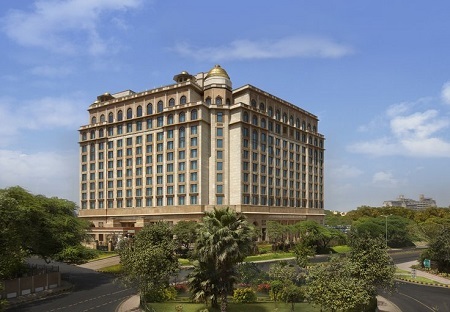 The Leela Palace is one of New Delhi’s newest and most spectacular luxury hotels. It is located in the leafy Chanakyapuri district — home to many foreign embassies and ambassadors — within a short drive of many of the city’s top business, shopping, and tourist destinations. An architectural showpiece, the hotel is shaped like a butterfly and features a stunning gold-leaf dome at the juncture of its two wings. Its interior spaces hold numerous impressive works of art, from elegant miniature paintings to huge elephant statues sculpted from sandstone. The opulent, airy lobby boasts Murano chandeliers, soaring columns, a marble floor, and hand-woven Turkish carpets. Please be advised that there is a local government tax that is an additional charge that is to be paid locally upon arrival at this hotel. The New Delhi Luxury Tax is NOT included in the $49 taxes and service charges.